Whether you're into surf or turf, chill or thrill, you'll have the time of your life in Cabo San Lucas. The Mexican oasis truly has something fun in the sun for everyone. Relax on the white sandy beaches, grab a piña colada at your hotel's swim-up bar or indulge in a luxurious spa treatment. Alternatively, go sportfishing for a marlin, ride buggies through the Baja desert, watch the whales on their migration or tee it up at a championship course. No matter how you spend your day, you'll most likely end up at El Squid Roe to party the night away. 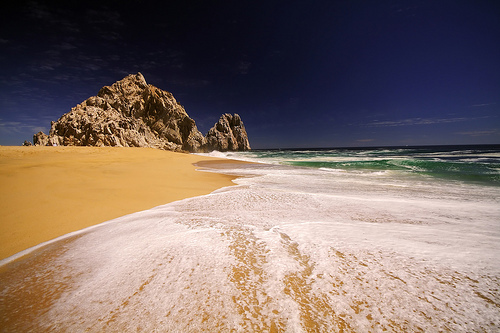 Cabo is definitely the best destination for both a bachelor/bachelorette party or a wedding. I attended a wedding n Cabo a year ago, it was the most beautiful destination wedding I have ever seen.